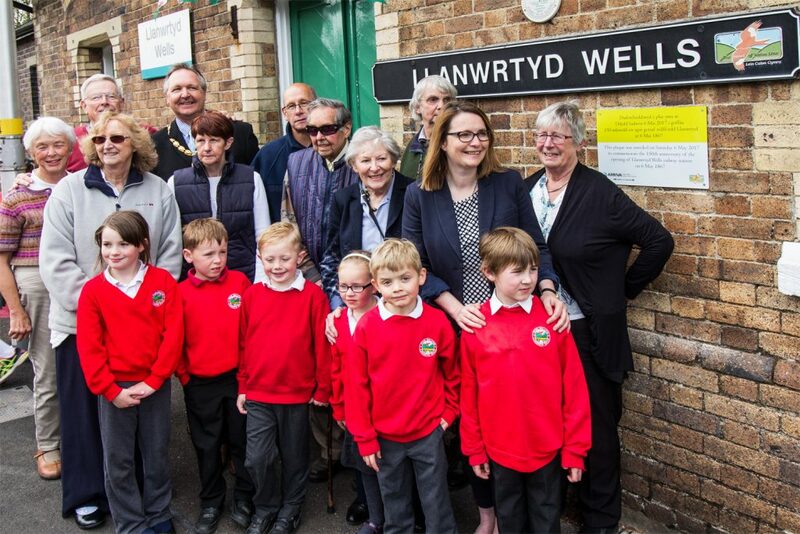 Lady Milena Grenfell-Baines, who was one of the children rescued by the late Sir Nicholas Winston when Germany invaded Czechoslovakia in 1938 and who came to school in Llanwrtyd Wells, paid another visit to the town on 27th April. She is currently associated with a project to erect on 27th May a memorial in Prague Railway Station to remember the selfless love and sacrifice of the parents who sent their children to a foreign land and into the arms of strangers fearing they may never see them again. The memorial will depict a railway carriage window with the hands of parents on one side and those of the children on the other. Most of the parents perished in the Holocaust. 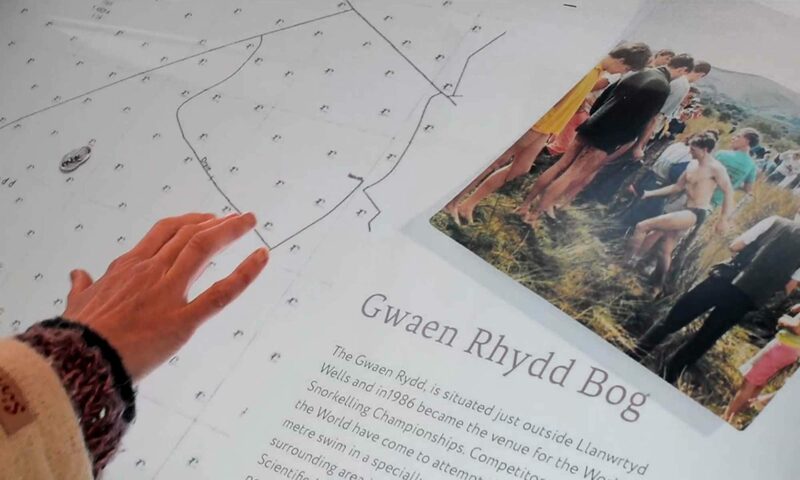 The story of the children’s arrival in Llanwrtyd Wells is one of the many incredible stories of the town’s history exhibited in the Heritage and Arts Centre. Accompanying Lady Milena on her visit was a film crew who are making a documentary of the story to be broadcaston Czech television. Llanwrtyd Wells has enjoyed a long and fruitful association with the former children who were at school at the former Abernant Hotel, now an adventure centre for schools. Children attending the centre nowadays learn about the tragic story of the Holocaust and the Czech children who came to safety in Llanwrtyd. 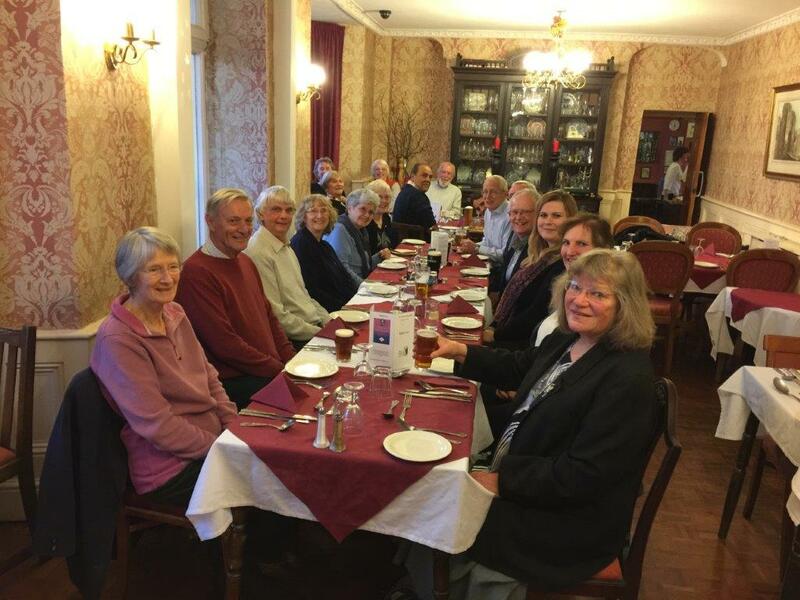 Llanwrtyd Wells is twinned with Cesky Krumlov in the Czech Republic and a meal was held in the Neuadd Arms Hotel with members of the Town Council and Twinning Association to celebrate Lady Milena’s (pictured second from end of table on left) visit with members of the film crew. Following last years successful first summer the award winning Heritage and Arts Centre will reopen its’ doors on Thursday 13th April at 10.00am. The Centre will be open throughout the summer and autumn from Thursday to Sunday between 10.00am and 4.00pm. In November 2016 the Brecon & Radnor Branch of the Campaign for the Protection of Rural Wales presented us with its ‘Rural Wales Award’ for the community effort in the revitalization of an old building and delivering a complex project which promotes an awareness and understanding of the local heritage. Visitors have regularly congratulated us on the quality of the refurbishment and the interesting and well-presented display. The Art Gallery will provide added interest in the coming year with a series of month-long exhibitions by different artists and crafts people who will often be present to demonstrate and discuss their work. See our What’s On section for further details. You will find a warm welcome awaits at the Heriatge Centre in Britain’s Smallest town so why not pay us a visit. Entry to the Centre and Art Gallery is free and the display area is accessible to all. The small village of Pont Rhyd y Fferau – where visitors alighted for the Llanwrtyd Wells – had a new name. Already a popular spa resort, with the arrival of the railway visitor numbers blossomed as it was now possible to travel to Llanwrtyd Wells directly from the industrial towns and cities of South Wales. Four months later the growing status of the town was marked by the opening of the new board school. The old Congregational Chapel which is home to the Heritage & Arts Centre also first opened its’ doors in 1867. The Centre re-opens its’ doors again to the public in April. Why not come and discover some more of the town’s history?